For most people, buying a condop apartment in NYC is no different than purchasing a regular co-op apartment. The primary difference will be an additional layer of due diligence necessary by the buyer’s attorney. Don’t listen to listing agents trying to pitch you that a condop is basically a co-op with condo like house rules. There is no such thing. A condop is always either a condo or a co-op because you will always end up receiving either a stock and lease (co-op) or a deed (condo). Furthermore, the banks will recognize that and will automatically either offer you a mortgage for real property like condos or a shareholder loan if you own co-op shares. 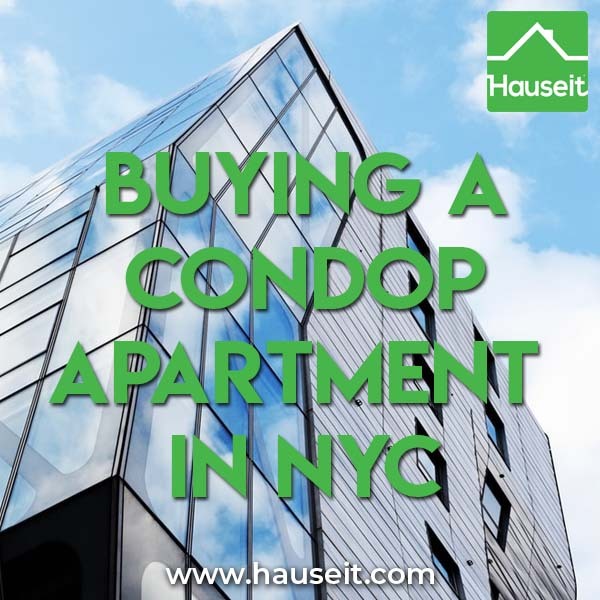 What is a Condop Apartment in NYC? Buying a condop apartment in NYC is different from buying a normal co-op apartment only in that the cooperative corporation owns part of a building versus the entire building. Typically, the residential portion of the building will be subdivided into one giant condo unit which the cooperative corporation owns. The commercial units typically on ground level will be subdivided into individual commercial condo units which the developer sometimes retains ownership of. The giant residential condo unit owed by the co-op corporation will then function the same way as a traditional co-op. The individual apartments will be sold to shareholders who own a stock certificate and a proprietary lease to their apartment. Remember that co-op apartments are not considered real property. Co-op apartment owners are shareholders who have a right to occupy a specific apartment in the co-op corporation’s building. The complexity of buying a condop comes from the additional corporate layer involved in the ownership structure. Because the co-op corporation only owns the residential portion of the building, your real estate attorney will have to do legal and financial due diligence on both the co-op corporation as well as the entire building. There will also be two sets of board minutes to review as not only will you have a co-op board to deal with, you’ll also have a board for the entire building. Your lawyer will also have to parse through two sets of annual financial statements and two original offering plans. Your lawyer will analyze what percent of common elements the co-op corporation is responsible for versus the commercial units, and whether cash flows for the building’s common charges flow to a common building fund or if the commercial units have special privileges built in by the developers. Sometimes a traditional co-op building will be zoned for mixed use and have commercial units available, typically at ground level. These commercial units typically have the same relationship to the co-op corporation as any other co-op apartment. They must pay maintenance and are issued a stock certificate and proprietary lease. This is very different from a condop building where the commercial units are independent of the co-op corporation. As an interesting side note, the reason commercial units in older co-op buildings sometimes have such long, favorable leases is because Section 216 of the tax code used to only allow co-op shareholders to deduct real estate taxes and interest on their proportional share paid if the co-op corporation met the 80/20 rule. This rule state that 80% of a co-op corporation’s revenue must be generated from tenant-stockholders since the purpose of a co-op is supposed to be providing housing to shareholders vs engaging in outside business activities. It is possible for the tenants of a co-op building’s commercial units to not also be shareholders. In this case the co-op is simply renting out the commercial space to a 3rd party tenant. However, this restriction has since been loosened. For example, co-op shareholders are eligible for tax deductions if at least 80% of the co-op building’s square footage is used for residential purposes. Fortunately for most co-op buildings, this requirement is much easier to meet. (i) 80 percent or more of the corporation’s gross income for such taxable year is derived from tenant-stockholders. (ii) At all times during such taxable year, 80 percent or more of the total square footage of the corporation’s property is used or available for use by the tenant-stockholders for residential purposes or purposes ancillary to such residential use. (iii) 90 percent or more of the expenditures of the corporation paid or incurred during such taxable year are paid or incurred for the acquisition, construction, management, maintenance, or care of the corporation’s property for the benefit of the tenant-stockholders. As a result, many co-op boards are regretting 50 year leases they’ve signed with commercial units with provisions that automatically reduce rent if total commercial revenue exceeds 20% of the co-op building’s total revenue. Why do Condop buildings exist? Condop buildings sometimes exist solely because the sponsor wanted to retain the commercial units to generate rental income. In the past, condop structures may have been preferred by co-op corporations to avoid a risk of breaching the 80/20 rule. Even after the modification of Section 216, co-op corporations may still want to avoid the complexity of dealing with non-residential tenants. Lastly, a condop may be preferable simply because the co-op corporation does not have enough money to purchase an entire building! Regardless of the reasons for why condop buildings even exist, there are both challenges and opportunities when it comes to buying a condop apartment in NYC. On one hand, buyers must be wary of listing agents who try to deceptively market condop apartments as simply “co-ops with condo like rules.” This is clearly not true as we’ve just learned that condop apartments are generally just co-op apartments with an additional layer of complexity. The house rules for a condop apartment can be equal, less or more restrictive than a traditional co-op apartment. The opportunity when it comes to buying a condop apartment in NYC is in the complexity and unfamiliarity of the structure which will turn off many buyers. Therefore, it’s important for you to work with a seasoned, highly rated buyers’ agent who will be able to guide you through the pro’s and con’s of purchasing a condop. 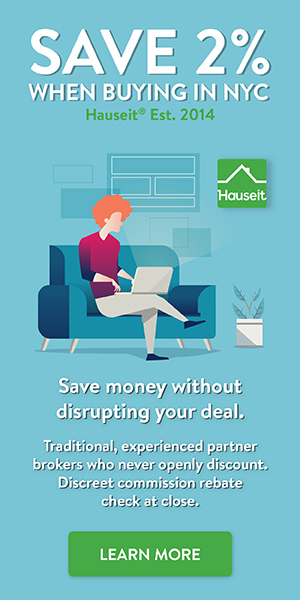 Not only is the advice free, through Hauseit you can work with a top buyer’s broker in your area who has already agreed to discreetly provide you with a buyer’s agent commission rebate of $20,000 or more on your purchase!